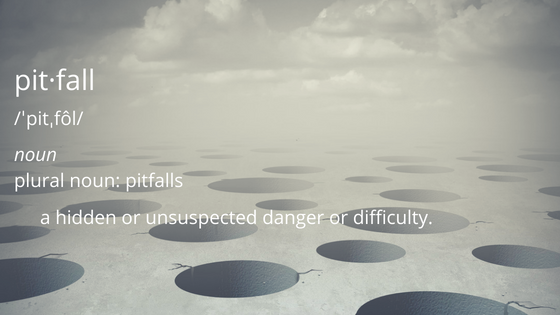 4 Cloud Migration Pitfalls (and How to Avoid Them) | 8x8, Inc. Being prepared from the outset will put you in a better position to address issues that might crop up as you migrate to the cloud, helping your company save time and money while minimizing the impact of potential problems. Make sure to set expectations, goals and overall strategy for the project, and clearly define all the requirements upfront. A successful cloud migration depends on a shared partnership with your vendor so the more communication and alignment, in the beginning, the better chance for a smooth and favorable result at the end. Let’s say you are a company headquartered in the U.S. with offices in Europe. You ask your vendor if they can provide service and support for an office in Italy. If the only answer is a premature “yes” and no follow-ups then run away and look for a new provider. Make sure they go into details on how they can provision and then provide support for the service, especially as it relates to the porting of international numbers. They should also ask for sample numbers to test and check porting as local number portability capabilities, norms, and regulations are different in different countries and you don’t want any major issues to surface during the implementation phase. If you are a company looking to scale your cloud communications infrastructure, make sure you have a vendor who is thorough and has real hands-on experience globally. When it comes to the topic of cloud migration, this is the area I am the most passionate about. When I speak with CIOs I always tell them if the call quality is bad, nothing else will matter – fundamentals such as quality and stability come first. A company’s network infrastructure is one of the most important elements for success when moving to the cloud. Voice is the most difficult application to be delivered over the network because of the real-time nature and requirements. It is very important to have a solid infrastructure and connectivity is everything. While buffering data (via services like Netflix) might be the norm and provide “good enough” service for some cloud applications, the quality is unacceptable when dealing with real-time voice at a global scale. Proper assessment of the network infrastructure goes well beyond simple bandwidth/speed or jitter/packet loss tests. Such proper assessments need to be comprehensive and very thorough covering all the elements necessary for successful delivery such as DNS infrastructure, firewalls, network routes, and many more. The key here is how your service provider can help you with these assessments without putting a great amount of burden on your teams. Continue to read and I will address this question in the testing section. As important as a company’s infrastructure is to experience excellent quality of service, the fact is that there will be remote offices and mobile employees on networks that can not be controlled by the enterprise. Not all technologies and service providers are equal when it comes to dealing with less than ideal or adverse network conditions when delivering critical real-time voice applications. At 8x8, we spent a tremendous amount of time enhancing our algorithms to deal with these less than ideal network conditions. I am very happy to say that our hard work has paid off and our technology has demonstrated the highest voice quality under both normal and less than ideal network conditions when directly tested against other service providers by The Tolly Group, a leading global provider of testing and third-party validation and certification services. You can download Tolly Group’s voice quality comparison report including the detailed test cases and results. It goes without saying to test early and often. Your provider MUST partner with you to create a detailed test plan and make sure testing is implemented at every single stage before going live. As the workforce becomes increasingly mobile with less dependence on desk phones, one of the most important overlooked items is testing your WiFi. At 8x8, we have built a tool for customers to thoroughly and comprehensively test and assess their local network and connectivity with a click of a button. It is a simple to use yet very effective tool that will test your network against our data centers around the globe, and while it provides a simple green/red indicator as a high-level output, it also provides a very comprehensive detailed report to help network engineers address any potential existing issue. If the vendor you are choosing is just giving you the requirements and is expecting your network engineers to run around and figure out how to comply, you might want to look elsewhere. Also, be cautious about overly simplistic/non-comprehensive testing tools that can get you in trouble later by not really identifying potential issues. For every company, moving to the cloud is a custom solution that we take very seriously. Should you roll out everything all at once or gradually release in phases? How will you plan to train users to make it as painless as possible? We partner closely with our customers to help define and support the transition strategy that best meets the organization’s business needs. A comprehensive battle-tested deployment methodology is very important; however, each customer situation can have unique requirements, and the methodology should have proper provisions to capture and address such differences. If your vendor is pulling an out of the box strategy and not really paying attention to your specific requirements then you are going to run into issues. Moving your communications to the cloud, and ensuring the investment meets your business requirements is a huge endeavor. Carefully planning and preparing to avoid the pitfalls I just shared above, can make all the difference in your cloud journey. Interested in learning more? 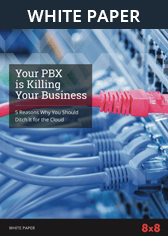 Listen to the webinar titled “Why I Ditched my On-Premise PBX for the Cloud” with IT leaders from Silver Peak and Town Fair Tire. 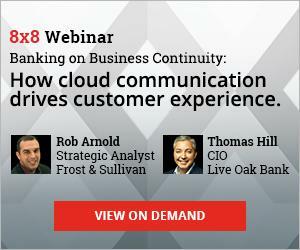 Great tips and advice from companies that have successfully moved their communications to the cloud.